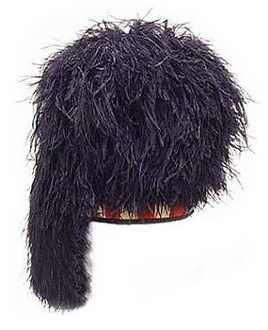 Genuine ostrich feather scottish regimental feather bonnet, either 4 or 5 tail. Made in Scotland. Adjustable headband, diced bottom band. Indicate hat size at checkout.